While best known for their Swiss Army knives, Victorinox sells everything from kitchenware to multi-tools. 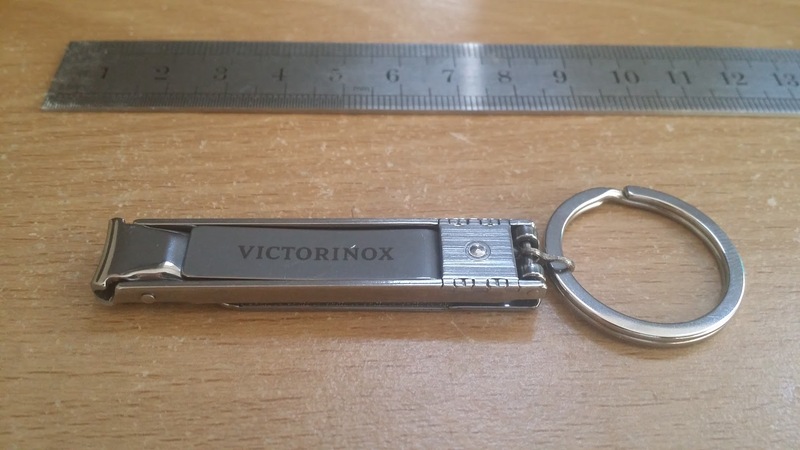 Today we’ll be taking a look at their stainless steel nail clippers, designed to fit to a keyring. Our first experience of the clipper was, frankly, not good. 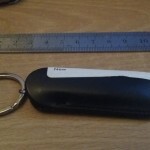 The packaging consisted of an envelope containing the clippers, which were in a cheap plastic pouch (see the photo below). Our immediate thought was to wonder if the item was a fake. Plus, if we wanted to keep the pouch we’d have to spend far too much time picking off the annoying sticker residue. Ho hum. The item itself is more impressive. 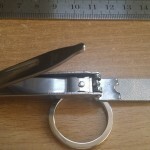 It’s folded flat, with no clear locking mechanism – instead, the clippers are held shut by the lever used to operate the clippers. This is clever and means the clippers fold almost entirely flat. They’re also nice and light, and construction quality seems good. They’ll go unnoticed on a keyring. 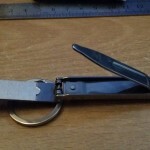 Bizarrely, the clippers claim three functions – clippers, file and screwdriver. 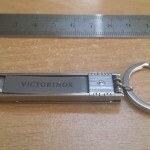 It’s certainly possible to use the end of the file as a screwdriver, but we’re rather confused by the whole idea. It’s an odd afterthought that seems to be included as a bonus of some sort but which fails to impress. 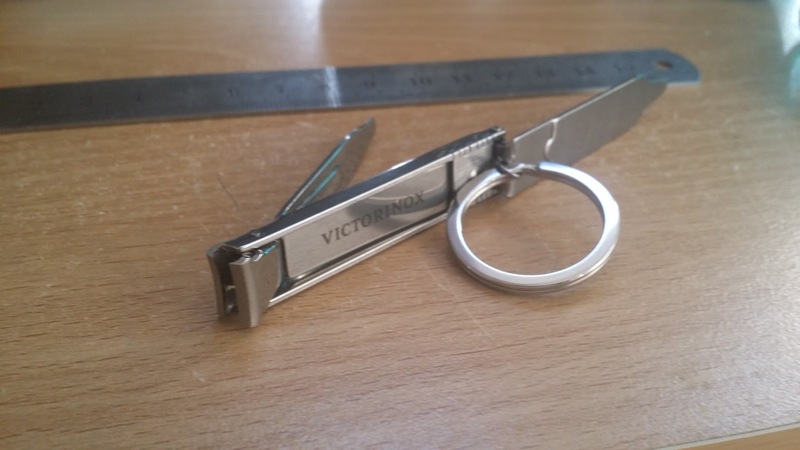 That said, we can’t real criticise the clippers for this, although we can shake our head at the Victorinox marketing department. 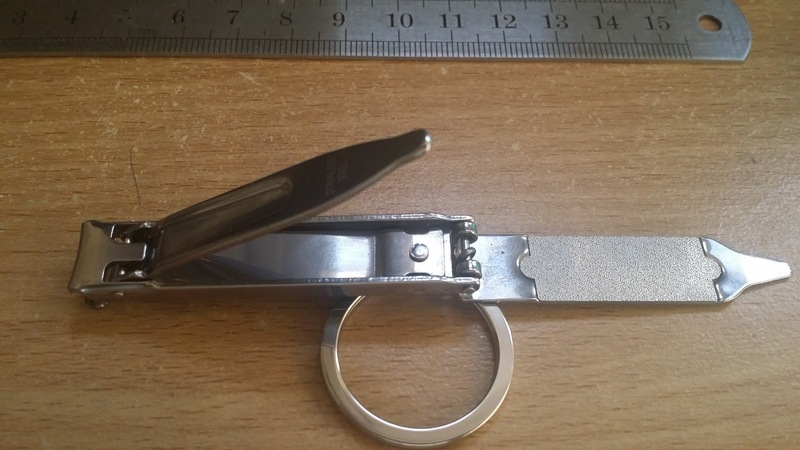 You ‘pop’ open the clippers by lifting the file on the back upwards and they’ll *SNAP* open in a way that is mildly disconcerting at first, but is actually quite satisfying. The file part then sort of dangles around while you operate the clippers. This sounds bad, but isn’t much of a problem, depending on how you hold the item. The clippers are quite springy, and it’s easy to get enough leverage for nail cutting. 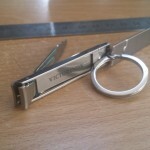 The cutting edges themselves are good and sharp, and close without any gaps. They’re more than up to the task of nail clipping. It’s occasionally awkward to be totally sure of how much nail you’re cutting, which is likely something you would get used to, but, overall, we like these. 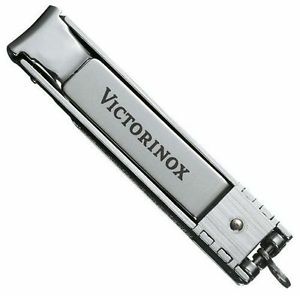 They’re certainly superior to most nail clippers we’ve used. 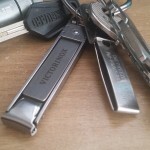 The file is of the coarse metal variety and is pretty good – although it’s a little awkward to find a good place to hold the clippers while you’re using it. If there was a way to clip the file in place, this problem would be resolved entirely. 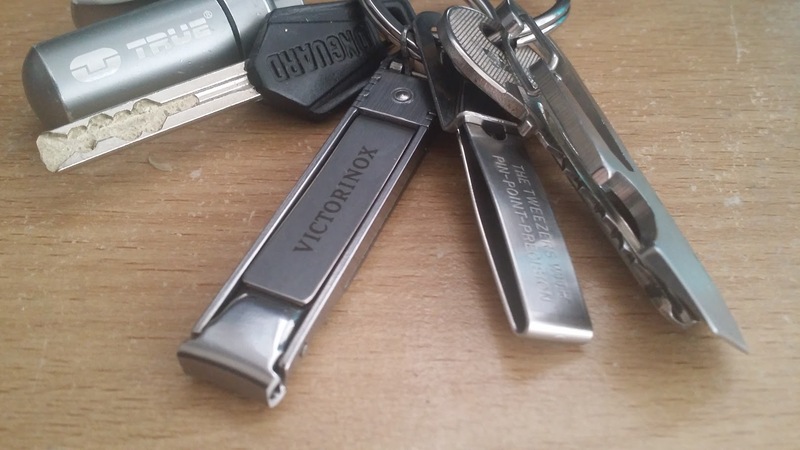 It’s not unusable, but it is slightly annoying, particularly if you attach the clippers to a keyring as intended. 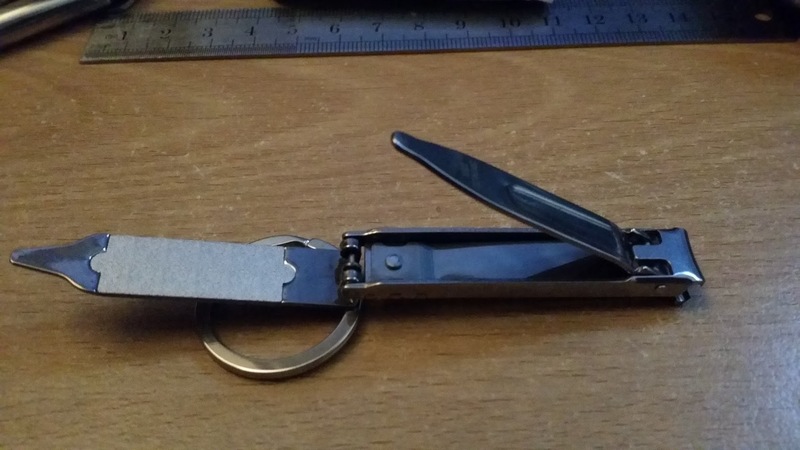 All in all, for keyring nail cutters, these are the best we’ve come across so far, so they’ll make it onto our keyring – for now! We’ll report back after more extended use. 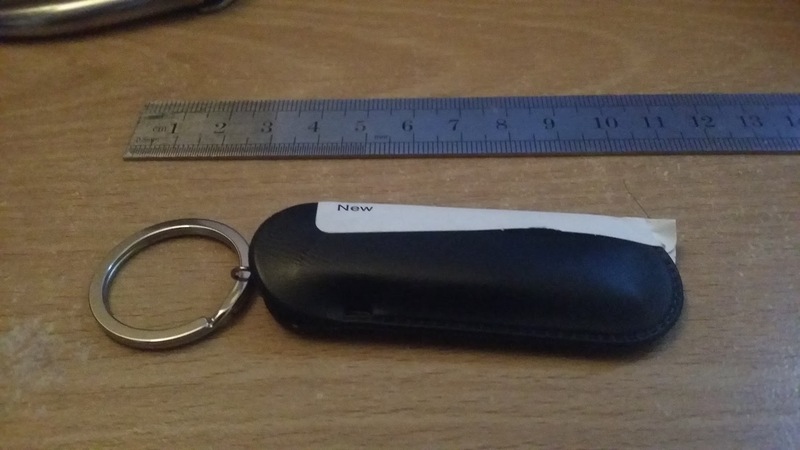 The packaging we received was somewhat disconcerting – a small plastic pouch. these 8.5 pts out of 10 overall and higher if your purpose is compact profile. Ours had a plastic pouch – did you mean something else?